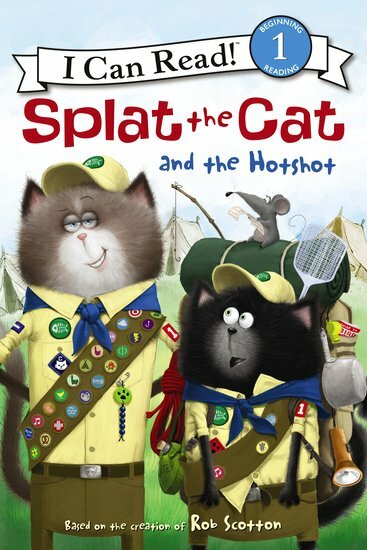 At scout camp, Splat meets an oh-so-perfect rival. It’s a battle of the cool cats! Tee-hee. Have you ever met an annoying person who always outshines you? It can be a bit grrrr. Now Splat has met a hotshot cat who is getting his tail in a twist. Splat is at scout camp. He can hardly wait to put on his uniform, tie knots and build a fire. But the hotshot does it all much better than him. Luckily, thanks to some sticky mud, Splat might still end up on top… A very easy first reader full of cheeky giggles and repeated sounds to learn.